VATICAN CITY (CNS) — Pope Francis, who has called the Catholic Church to go out to the peripheries and who described himself as coming from “the end of the earth,” will visit the heart of European secular and economic power: the European Parliament and the Council of Europe. For the Polish St. John Paul II and the German Pope Benedict XVI, the destruction of World War II and the erection of the Iron Curtain separating the democratic West from the communist East fueled a passion for European unity and cooperation, and an emphasis on the Judeo-Christian values that had formed the continent’s cultures and governments. While the Argentine Pope Francis is less focused on Europe than his predecessors were, his teaching on human rights, justice, peace and solidarity is just as relevant to Europe as anywhere else. The pope will spend four hours in Strasbourg, France, Nov. 25 to address the European Parliament — the legislative arm of the 28-member European Union — and the Council of Europe, an organization of 47 countries formed to promote democracy, human rights and the rule of law on the continent. Like his predecessors, Pope Francis is expected to call the European institutions and the people they represent to recognize the values that inspired their commitment to unity and democracy. In particular, the church wants them to recognize that repetitious appeals to human rights and human dignity mean little if entire categories of human beings are denied those rights or robbed of them. Pope Francis’ repeated condemnations of a “throwaway culture” may have been formed and informed in the barrios of Latin America, but what he has seen in Europe has not softened his language. St. John Paul and Pope Benedict often called on the European Union and its related institutions to recognize that having a common currency and forging joint economic policies will foster the good of Europe’s citizens — and people around the world — only if economic growth and profits are a result of promoting the good of the human person and not the exclusive goals. For the Polish pope, who had worked in a quarry as a youth and who constantly preached the dignity of labor, unemployment was the key test of whether Europe’s economic policies put people or profits first. 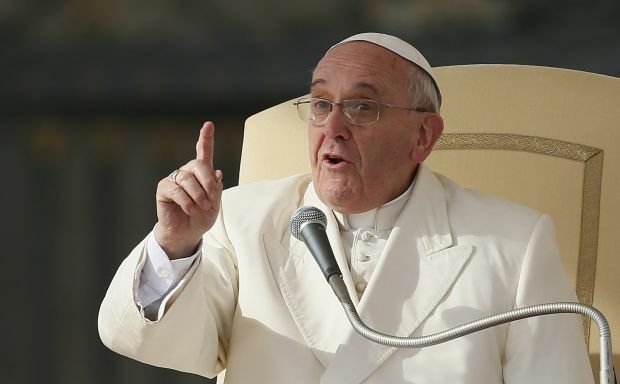 On that score, Pope Francis is not expected to go light on the European Union or the Council of Europe, especially when it comes to unemployed young people and, particularly, the so-called NEETs — those neither employed, enrolled in educational programs or in training. Eurostat, the EU’s statistics office, reported that in September, the unemployment rates across its 28 member-countries was 10.1 percent and the unemployment rate of people under age 25 was 21.6 percent. The youth unemployment rate ranged from 7.6 percent in Germany to 53.7 percent in Spain. If the focus of attention is on the human person, recent popes have insisted, then policymakers must recognize the connection between economics, work and family life. In a May speech to United Nations’ officials, Pope Francis said true development included addressing the root causes of poverty and hunger, promoting protection of the environment, guaranteeing dignified and productive labor and protecting the family, which is a basic and potentially efficient form of cooperation, intergenerational solidarity and education in social skills and values.